Pretty Presets are professional Lightroom presets for portraits. Why are they so popular and frequently downloaded? If you like these beautiful and pop effects, read this article to find out how and where you can download Pretty Presets for Lightroom free. Where to download Pretty Presets free? Pretty Presets are a group of film emulator tools designed in the form of filters for Adobe Lightroom. Pretty is the most popular leader among the best selling Lightroom presets. Pretty Presets were originally created by Karlen Kleinkopf and Laura Thomas photographers, who first met and developed the product in 2010. They have presented something new on the market, something that has significantly simplified the photo editing work. Currently, the company works with more than 250,000 professional and amateur photographers. 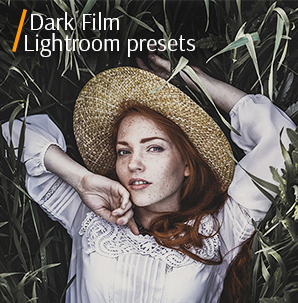 This pack consists of universal Lightroom film presets with a nice skin tone, bright increasing and warm color correction. The color transforms into a red-orange hue. The set of Pretty Presets Lightroom is entirely optimized for shots taken in dull lighting or in a studio. Film Preset allows you to add dramatic emotions to the photo and make it warmer with creamy skin tones. The picture acquires a matte delicate shade by darkening the shadows and brightening the light-toned areas. The Pretty Presets Bubble Tea preset from this Pastels Collection is one of the most popular Lightroom presets that is the best choice for studio and fashion images. This collection of professional Lightroom presets is extensively used by street photographers. The color palette isn't quite flawless and accurate, but you could achieve a combination of sharp and soft shadows. The colors would become more vivid and matte. The contrast will be increased and the light will be diffused. Highly recommended for the portraits taken in the Golden Hour. This bundle includes many presets which let you add some drama. They will highlight true emotions thanks to the correctly underlined shadows. Blacks become deeper to emphasize the blackness which increases the contrast. The presets also give a photo a subtle matte effect. These are ideal Lightroom presets for portraits and wedding photography. This Pretty Presets bundle for Lightroom is suitable for any style of portrait photography with natural lighting. The preset increases the red color, thus making a shot brighter while leaving the skin tone natural. A picture acquires a light matte shade with too intense contrast. Perfect for the portraits with bokeh. Bomb Pop collection of Pretty Presets for Lightroom lets you add bright colors to shots while slightly increasing the contrast and highlighting the shadows. They correct the white balance and give picture soft and clean colors. They are appropriate for children and family portraits, wedding, fashion, and landscape photography. This bundle is great for street shots taken in autumn. It gives images warm, rich colors with a touch of red. Pictures will be filled with soft sunlight and deep, dramatic colors. If you like moody and film Lightroom presets, read about VSCO Lightroom presets and where to download them for free. 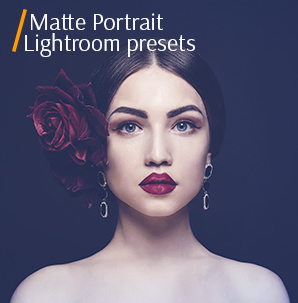 The collection of portrait Lightroom presets includes 25 basic portrait brushes and 51 presets. You can improve too light areas, eliminate noise/blur, adjust soft lighting and white balance. 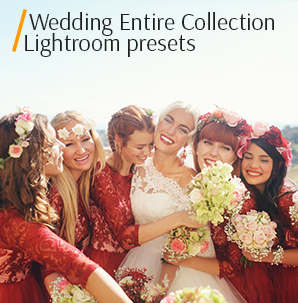 This collection is good for wedding and portrait photographers. The Pretty Presets Bohemian Collection includes 25 PRETTY FILM presets that will let you add rich, warm, film tones to your photos. This collection of presets is designed for photographers working in wedding, portrait, landscape and fashion photography. 25 Professional film Lightroom presets for black and white photo editing. Balanced shadows, exposure and increased sharpness gives your photos a gentle matte effect. This set of presets is suitable for photographers working in portrait, wedding, landscape, sports and reportage photography. The collection includes 20 newborn Lightroom presets and 20 brushes that allow you to give a baby photo soft colors and creamy skin tone. Presets eliminate noise, make photos brighter and soft. This collection is ideal for any family or child photo. This collection includes 32 Christmas lightroom presets + 5 brushes that can be used on the images taken under natural or artificial light. Using these snow Lightroom presets you can make photos be filled with bright colors, adjusted white balance, and clear sharpness. With the help of brushes you can add snow. You can also download Pretty Actions and Overlays but thy are not as good as their Lightroom presets. There are few bundles that help you add bubbles, flowers, clouds, etc. to your photos but they are of low quality. The Vivid Skies collection includes 35 high-resolution JPEG overlays and is good for outdoor sunny photos. You can add beautiful clouds, brighten the horizon, enhance sunset, make the overcast sky pop. This holiday Bokeh overlays for Photoshop include more than 100 different Photoshop plug-ins that you can use to add classic, multicolored bokeh, icicles, lamps, festive lights, etc. Highly recommended for Christmas studio photos. This is a universal bundle of Lightroom brushes for portrait photo editing. 40 Portrait Lightroom brushes for editing skin, enhancing make-up, remove the red-eye effect, whiten teeth, correct white balance, remove green skin color, etc. This collection is recommended for close-up portrait photos. How to Get Pretty Presets Free? Because of Pretty Presets’ popularity and quite expensive rates per bundles, many amateur photo retouchers are looking for free Lightroom presets. Nowadays, there are so many links and resources where you are promised to download Pretty Presets for Lightroom free. Unfortunately, absolutely all of them are useless, and the plug-ins you get for free differ from the original files. The maximum that you could get is a basic color correction. Based on this, we have prepared our free Lightroom presets, which are Pretty Presets’ analogues. Find out how to get Lightroom for free to make fast color correction and photo editing without a month subscription. If you find Pretty Presets’ prices too high, you can use several Pretty Presets coupons. Visiting various websites like RETAILMENOT, OFFERS, GOODSHOP, you can get a small 10%-30% discount on various Pretty Presets. However, there is one, but a significant drawback – these coupons are limited or offered as a single coupon, therefore, you need to be the first and monitor these websites from time to time. You can also get a coupon through the official website. Having bought the first bundle of Pretty Presets, you will get a 30% discount on the next order. If you are not sure to download Pretty Presets or not, want to learn more about the presets you are going to buy, visit their blog. Pretty Presets runs a small blog that talks about its presets, gives photo editing tips, tutorials and useful videos in short form. If you take portrait photos and want them professionally edited, you may download the following 10 free Lightroom presets for portraits to make color correction in several clicks. This preset reminds “Pretty Presets Enchanted Garden”, as it adds vibrant colors. A picture becomes more delicate, a bright shade accentuates shadows. In addition, a white color becomes even brighter while leaving the skin tone natural. This free Lightroom preset is suitable for shots taken solely in artificial light. The preset combines “Pretty Presets the Sugar and Spice Collection” and “Pretty Presets Bomb Pop” while giving an image a natural color. It improves white balance, green transforms into a more intense shade, with a slightly matte hue. Skin tone gets a little reddish in combination with orange. The preset accentuates shadows and highlights bright areas. One of the most gentle Pretty Presets’ free analogues is perfect for landscape and portrait photographers who work with natural light. This alternative to “Pretty Presets the Sugar and Spice Collection” gives an image orange and red colors making it more vibrant. It is ideal for street pictures taken in low light, because the shadows make an image more colorful and highlight bright areas. One of the most impressive free Lightroom presets for photographer add soft, contrasting colors with a dramatic tone to a picture. If you want to work with these Lightroom plug-ins, I recommend you to read about how to create Lightroom presets, how to use Lightroom presets, and how to add presets to Lightroom for the first time. It somehow resembles “Pretty Presets The Sugar and Spice Collection”. The preset makes a photo more vivid, lively, fills an image with red-orange colors and corrects white balance. As a result, a picture has a soft sunny hue with a slightly matte color. It is suitable for shots taken on a sunny day, in natural light. The combination of bright, soft color with a matte tone resembles the “Pretty Presets Bomb Pop” bundle. The preset adds rich colors to a shot and eliminates deep shadows. Skin tone acquires slightly matte shade due to the contrast reduction. It corrects white balance, therefore is suitable for shots taken at home in natural or artificial light. 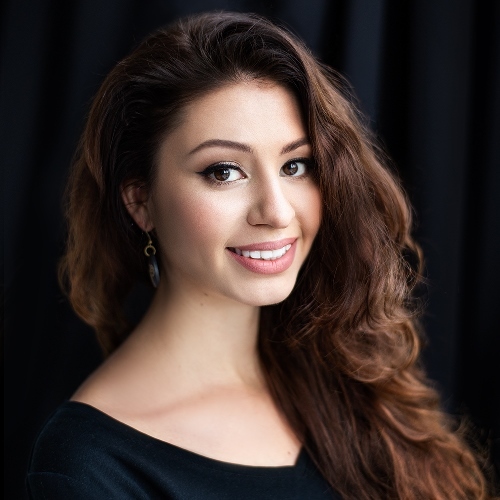 Don’t have time for photo editing and portrait retouching? Send your photos to FixThePhoto and receive professional color correction and face/body retouching within 2 working days. Fast, affordable, and of high-quality. Similar to “Pretty Presets Color Luxe Workflow”, it will remove dark areas and deep shadows in an image while adding clarity and sharpness to the lines. It also corrects skin color, making it more natural with a genuine slightly matte shade. This is one of the best free presets for Lightroom that are suitable for shots taken in challenging conditions or in poor lighting. The preset integrates “Pretty Presets Color Luxe Workflow” and “Pretty Presets Film” and fills an image with bright, vibrant colors. It corrects white balance and gives a shot a matte tone. One of the most fantastic free Lightroom presets emphasizes the shadows and enhances an image by adding warm colors, therefore it is great if you need to imitate film cameras effect. One of the most eye-catching presets that help brighten shadows, make colors more saturated and balance exposure settings. After applying the filter, you’ll see a slight matte effect, resembling “Pretty Presets The Sugar and Spice Collection” and “Pretty Presets the Summer Collection”. The preset is suitable for wedding shots, because it makes a white color more natural, which is a big problem for wedding photography. One of the best Lightroom presets that makes colors more saturated, sharp and clear. The effect reminds “Pretty Presets Film”. The preset is a good alternative to “Pretty Presets Film”. You can use it for shots taken in natural lighting conditions, thus making it one of the most indispensable Lightroom presets for bloggers. With the preset, the white color becomes more natural and the skin tone acquires a soft matte shade. A very useful Lightroom preset for editing nature and landscape photography. Makes photos vivid and bright, adds HDR. This preset is good for summer, autumn, winter, and spring landscape images. This is a classical Lightroom preset for wedding, portrait, and even photography. Its main advantages are to make photo emotional and remove light defects. STEP 1. Visit the official Pretty Presets website. STEP 2. In the “Lightroom Presets” menu choose the bundle you like. STEP 4. Fill out the form specifying a brief data to contact you. STEP 5. Choose one of the available paying options and pay for Pretty Presets. STEP 6. Go to your email and click on the link that will be sent to you. You will be automatically redirected to download it. STEP 1. In the Edit (Win) or Lightroom (Mac) menu, choose Preferences. You can also use hotkeys (Ctrl +,). STEP 2. In the window go to «Presets», then click on the “Show Lightroom Presets”. STEP 3. A folder with the Lightroom presets will open. Paste the “Pretty Presets” folder from your download that contains the .xmp files into this folder. STEP 4. Done! If Lightroom was open when you exported Pretty Presets, you will have to close it and restart.